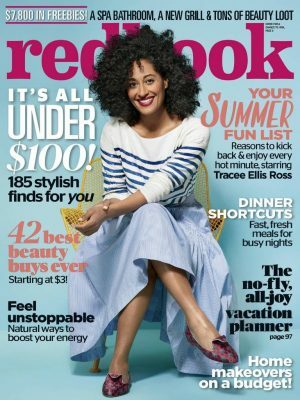 Free One Year Subscription to Redbook Magazine-Click here to begin your free one year subscription to Redbook magazine, courtesy of RewardSurvey. Available while supplies last. Free Sample of Clinique Acne Solutions Clinical Clearing Gel-(You’ll have to use a computer for this offer, because it is not mobile-friendly). Get a free sample of Clinique Acne Solutions Clinical Clearing Gel by clicking “Sign Up” and submitting the form. Allow 6-8 weeks for delivery. Free Face Masks at Sephora- This weekend, July 27th through the 29th, get a free Face Mask at your local Sephora store just for asking! No purchase necessary. Click here for the details. Free Schär Care Package-Available again, get a free Schär Care Package just for sharing the story of your gluten free experience. Click here to get your freebies. Free Equate or Assurance Liner & Pad Sample Kits-Choose from the following options: Teen, New Mom, Active Woman or Woman with a Sensitive Bladder. Then complete the form for your freebies. Available while supplies last. Free The Equalizer Movie Download-Just log in (or register) to the Regal Cinemas Crown Club to get a free digital download of the movie The Equalizer, using promo code: RC7D-DC58-TF2. For a limited time, while supplies last. Free Burrito on Your Birthday at Moe’s Southwest Grill-Click here to download the Moe’s Rockin’ Rewards App and register to get a your birthday freebie every year. Bonus, you’ll also get free nachos with the purchase of a drink when you sign up. Free Sample of Whey Fantastic Protein Shake-Click here to request your free Whey Fantastic Protein Shake. Available for a limited time, while supplies last. Free Subscription to The Red Bulletin Magazine-Click here to sign up for your free subscription to Red Bulletin Magazine, courtesy of RewardsGold. Available while supplies last. Free Rise of the Teenage Mutant Ninja Turtles-Click here to download Rise of the Teenage Mutant Ninja Turtles, Season 1 Episode one on Google Play or iTunes. This is available for a limited time. Free Chobani Hint Yogurt at Shaws & Star Market-Click here to download your free ecoupon from Shaws or click here to download the same coupon good for Star Market. Expires 7.23.18. Instant Pot LUX 6 Qt 6-in-1 Multi-Use Pressure Cooker Only $49!